Want to get rid of half of gun violence? In the wake of the tragic attack in Orlando, anyone on social media will see statistics about how much worse gun violence is in the USA than in other places in the world. 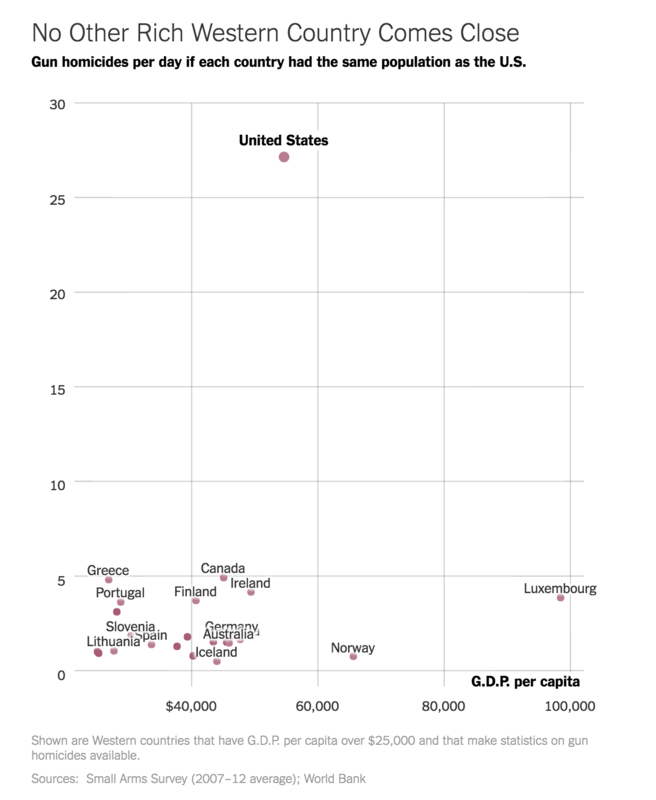 By one measure, the US has almost 6x more deaths from gun violence as our northern neighbor, Canada and many other developed countries. So how can we solve this problem?